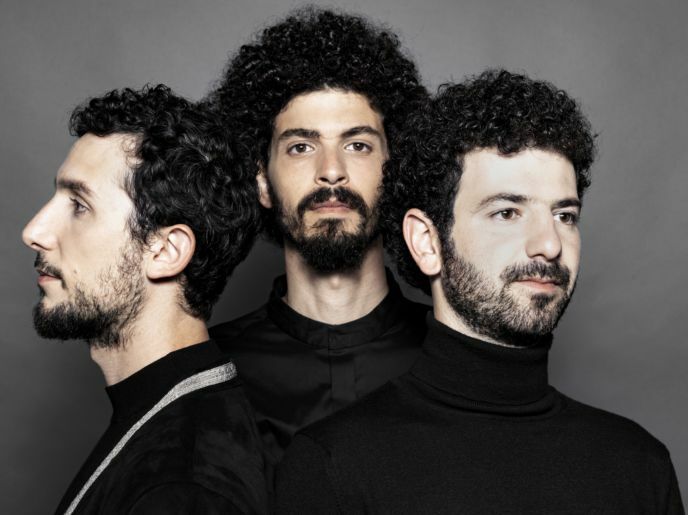 Shalosh (Hebrew for ‘three’) lands in Amsterdam on the eve of the release of their new album, which could lead to the big breakthrough of this tight-knit trio. With piano, double bass and drums these young jazz musicians have crafted an energetic style, referring to rock, classical and Middle Eastern music. Pop is an important source of inspiration as well: their previous album Rules of Oppression, which was recorded in Tel Aviv, contained covers of Lana Del Rey and The Human League. For each episode of their YouTube series Shalosh + One they collaborate with well-known performers from Israeli music, from jazz to hip-hop, for example guitarist Gilad Hekselman and trumpeter Itamar Borochov. ‘It’s all beautifully played with moods and melodies allowed to develop and unfold gradually with repeating elements building intensity, the group dynamic as important as overt solo sections’ (London Jazz News).